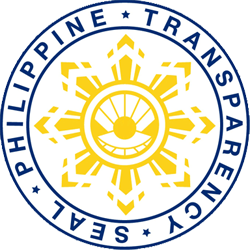 BUTUAN CITY, Aug. 26 (PIA) -- Civil Service Commission (CSC) Caraga Regional Director Adams Torres said that the commission will be celebrating its 113th anniversary on September 19. Torres recalled that the Philippine Civil Service traces its beginnings to the enactment of Public Law No. 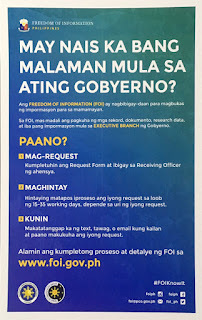 5, “An Act for the Establishment and Maintenance of our Efficient and Honest Civil Service in the Philippine Island,” on September 19, 1900 which underscored the merit and fitness principle in appointment to posts in government service. “It’s a month-long celebration with series of activities. Meantime, coordination meetings are still being held to finalize activities for Caraga region,” Torres said. He added that on its 113th, the civil service remains as the backbone of government. “The month-long anniversary celebration aims to promote, showcase and celebrate heroism in public service, and to highlight stories of triumph and sacrifice among public servants as reflected in this year’s theme,” he said. “With this theme, it encourages public servants to cross the line between being ordinary civil servants to being servant heroes or lingkod bayani,” Torres added. * People’s Television Network, Inc.
Philippine Information Agency - Caraga Region. Powered by Blogger.